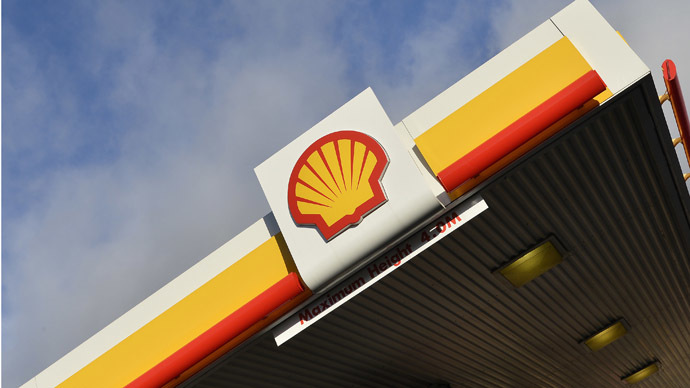 The Anglo-Dutch oil major Royal Dutch Shell is to acquire Britain’s BG Group Plc for $70 billion, narrowing the gap with a global leader ExxonMobil. "The result will be a more competitive, stronger company for both sets of shareholders in today's volatile oil price world," Shell chairman Jorma Ollila said in a statement Wednesday. The deal will give Shell access to a number of oil and gas reserves, and develop exploration which is becoming increasingly expensive. For example, the company has spent about $6 billion on developing the north coast of Alaska, and hasn’t yet managed to finish a single well. Shell expects acquiring BG will allow it to accelerate the development of liquid natural gas (LNG) production, especially in Australia, and deep-water drilling in Brazil known as the pre-salt, which is one of the world’s most highly-prized oil provinces. The deal will increase the company’s oil and gas reserves by around 25 percent and the volume of production by 20 percent compared to 2014. The company will strengthen its market position and fill its resource base. The merger will help Shell reduce the difference between its market value and the value of the world's largest oil companies such as ExxonMobil. BG’s shareholders will receive £3.83 in cash and 0.4454 shares of Shell for each of the shares they own, the company said on its website. BG shares were valued at £1.367 at the closing bell on Tuesday, which is about 50 percent higher than their market value. After the deal is concluded BG shareholders will own roughly 19 percent of the merged company. “In the medium term, all shareholders will benefit from the potential for enhanced cash flow and a continued drive to grow returns and enhance capital efficiency from the combined portfolio,” BG says. Shell is one of the world's largest oil and gas companies with a capitalization estimated at $192 billion and revenues of $460 billion in 2014. BG has a market value of around $46 billion, and the value of Exxon is $360 billion. The market capitalization of the merged company will be more than double BP Plc, and will be higher than Chevron of the US. Moreover, BG is one of the world's leading manufacturers and suppliers of liquefied natural gas, and has recently completed the major Queensland Curtis LNG terminal in Australia which cost $20 billion. The company also has multibillion dollar projects in East Africa, Kazakhstan and Egypt. Shell estimates that the acquisition will help achieve synergies of $2.5 billion annually and give significant extra opportunities. The oil major plans to begin a share buyback program in 2017, which could cost as much as $25 billion. The purchase of securities will be carried out between 2017 and 2020.